Inizio concerto: ore 22 circa. Ingresso con tessera Arci: 3 €. Senza tessera: 10 € (7 € per la tessera + 3 € di ingresso). 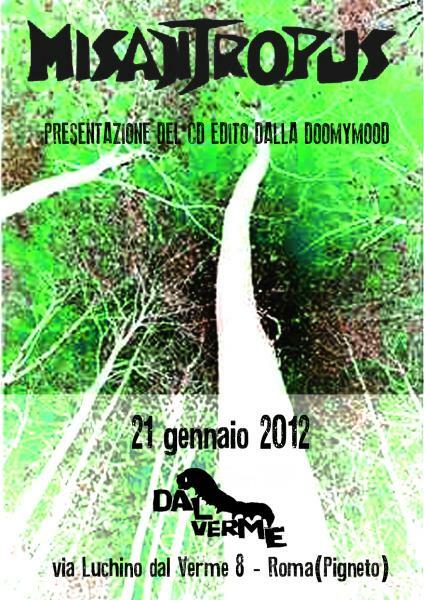 Sarà tra l'altro possibile acquistare le altre uscite di Doomymood. Vi aspetto per un saluto. This is for Focus Indulgens fans which don't speak Italian. As the band decided to record the new album in its first language, guitar player Federico Rocchi has translated the lyrics in English and now you can download them at this link. The file contains a PDF with just the lyrics plus the booklet with translated lyrics and notes, so you can print the former and store the latter on your hard drive. Besides, you can make an idea how the booklet looks like should you decide to buy the CD.